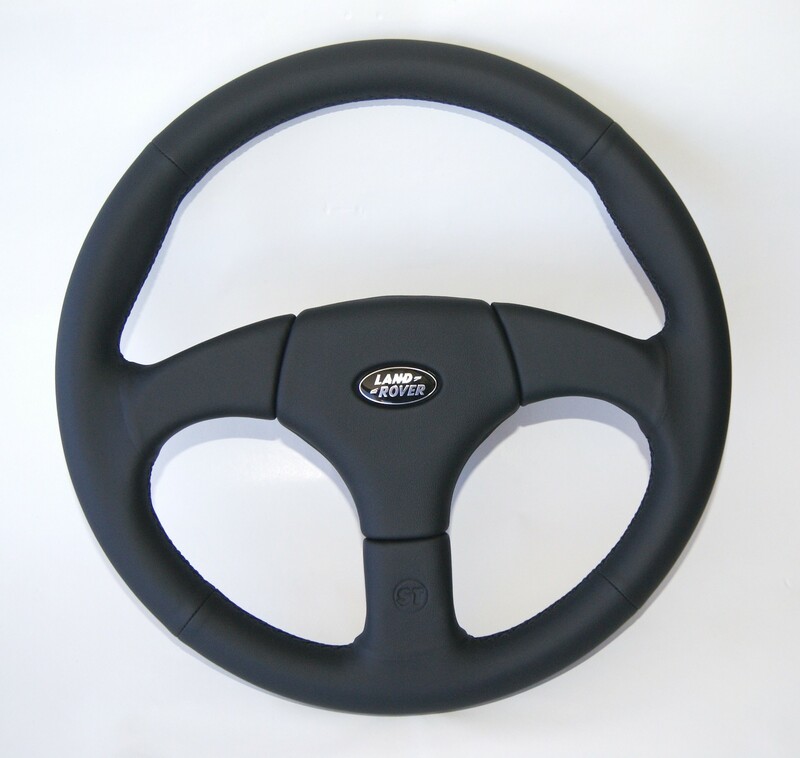 Startech Sport steering wheel, black genuine leather, including adapter, steering wheel cover with Land Rover logo for Defender. 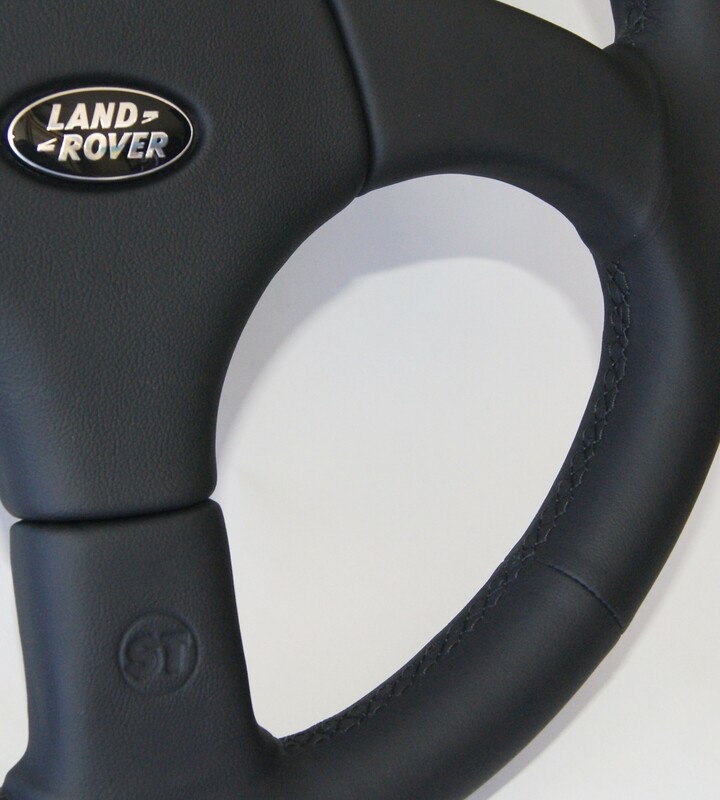 Available with the following stitches; black, lunar/silver, tan/brown and pimento/red. 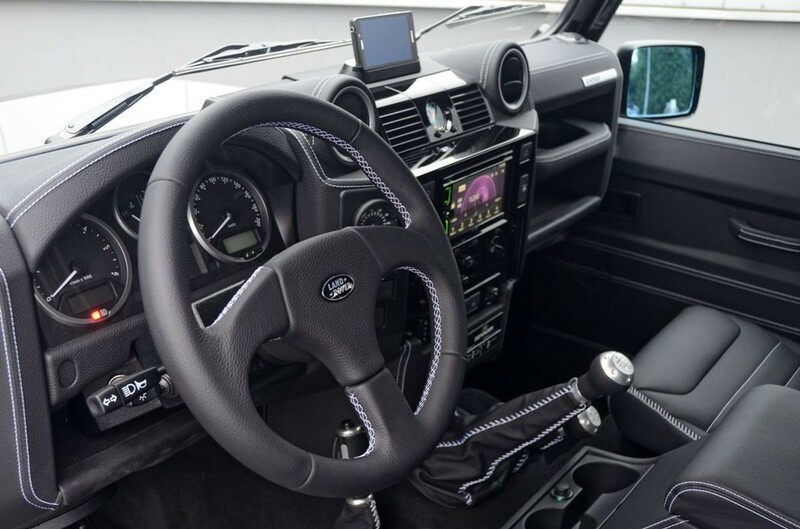 Please have a look at the group photos; if you click on it you see the color name below the picture . 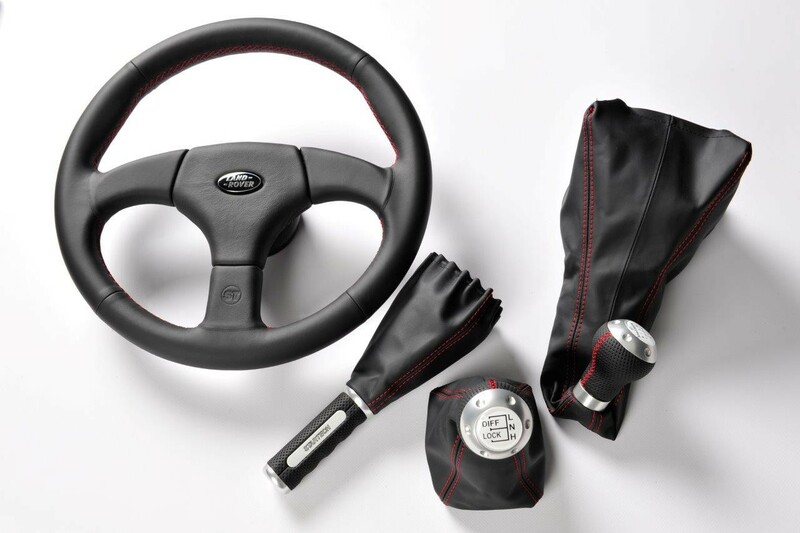 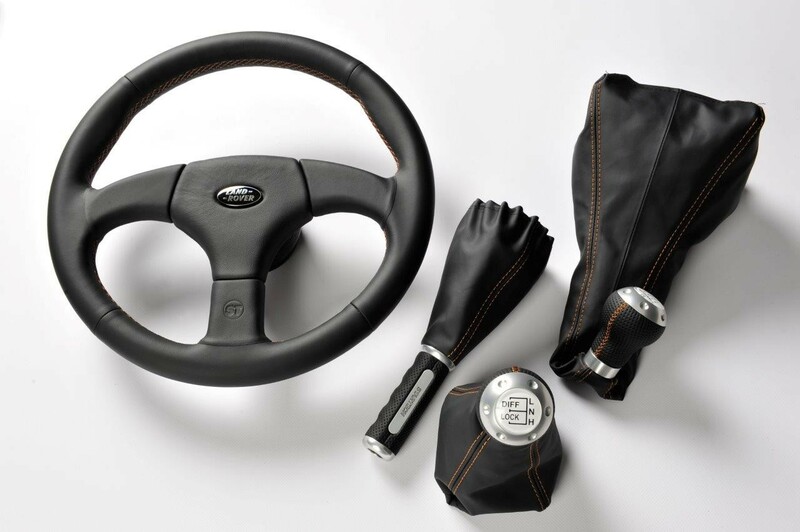 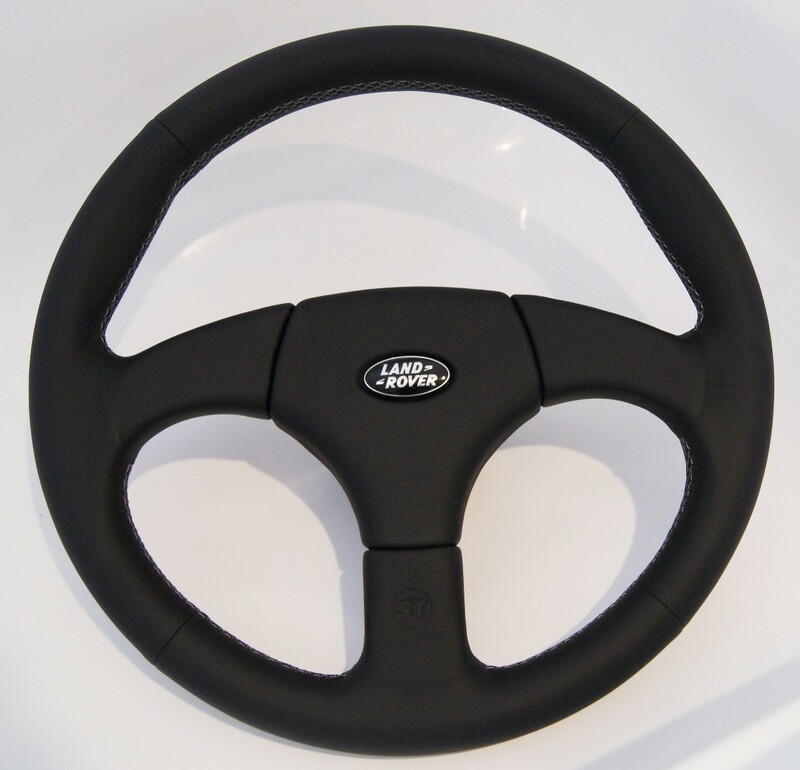 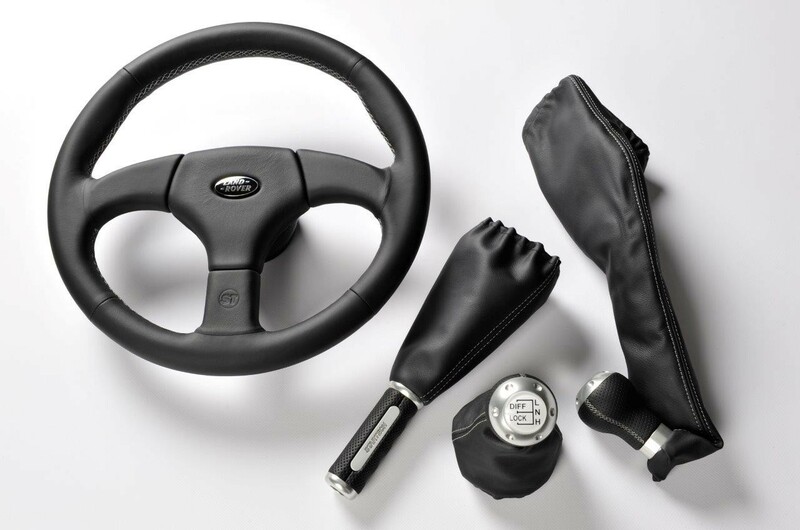 Startech sport steering wheel, 360mm black genuine leather, including adapter and steering wheel cover with Land Rover logo for Defender (vehicle information required).